I have an SDU-100 that isn't producing 5v. History is when I received the board first power up with 12V caused R50 to go up in smoke. 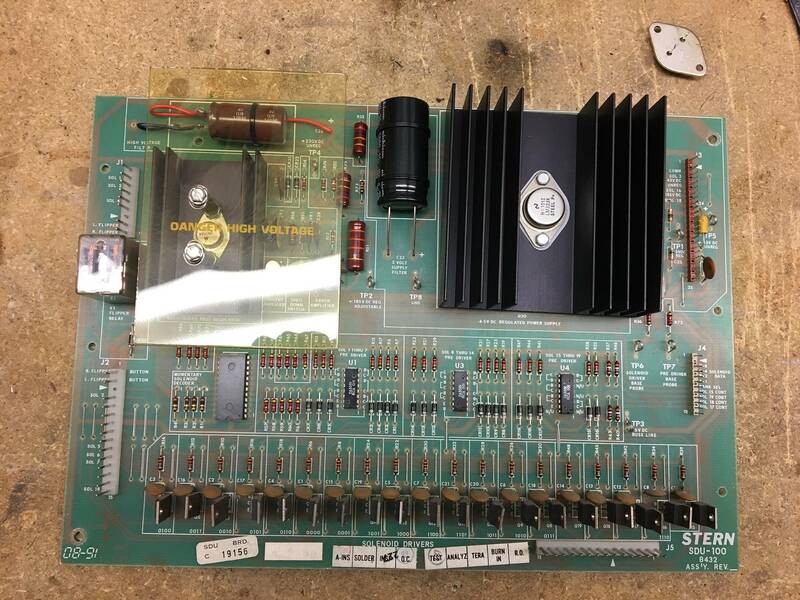 I replaced R50, and the main capacitors on the board, but the 5v regulator was outputing close to 12V still. I just replaced the 5v regulator with a new one, but am now reading 12v on the input side to the regulator, and basically 0 on the output side. The original regular was a "SG323", and the new one is a "LM323K". See pics below. As far as I can tell I connected the regulartor correctly, seems that the pins are lower on one side to avoid the possibility of incorrectly mounting it? There was also a rubber (?) gasket between the old regulator base and the heat-sink that I kept between the new one and the heatsink, though the regulator schematics says the base of the case is the ground, so wouldn't that gasket keep it from grounding properly? Fytr last edited this post 2 years ago. Okay, looking at it today I see the regulator still grounds via the bolt that mounts it, so the gasket isn't an issue. I'm reading 11.74v on pin 1 of the 5v regulator, and 0.126v on pin 2. Defective 5v regulator? Make sure the regulator isn't shorting against heat sink, that'll stop things right quickly. Could be due to some other part shorting the 5V line and the regulator isn't shutting down. And I assume you replaced the burned resistor. Did you do the ground mods to that board? Did you do the +5V mod of tying TP1 to TP3 at J3? 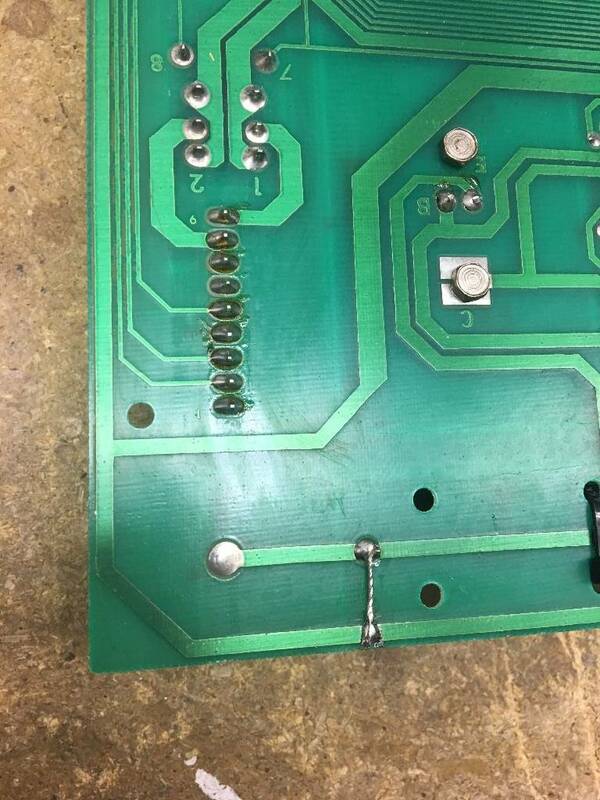 If so, check for solderbridge? Okay, heatsink isn't shorting to the regulator, or to ground. There is approx. 100 ohms resistance between the output of 5v regulator and ground. The board is actually super clean, all I've done is replace the 3 caps (c23, c24, c26), the burned resistor (r50), and now the voltage regulator. I inspected the board under magnification and I don't see any shorts, hacked solder jobs, etc. To test on the bench I've been connecting my power supply via ground to TP8, and 12v to TP5. The power supply seems to put about 11.7v out. Is this a valid setup? Could the c23 cap. (tantalum) be damaged from when the r50 burned up? Would that even cause this? Tantalums can short when bad so that is a possibility. Did you do the ground mods to this board? I have a spare tantalum cap I can try replacing it again. I have not done the ground upgrades on this board, though I don't see how doing so would improve things in the short term? Short term: if you don't have good connections between the various ground circuits on that board then you will have a hard time trouble shooting this one. You have an isolated ground to C23 expected to come from J3, pin 10 but if you are only connecting ground to the test point then the negative side of C23 is floating. You also have other grounds on that board that are isolated until J3 is plugged in (and J3 contacts are good). Doing ground upgrades takes care of the floating ground issues. Regarding Tantalum - just clip one end of him and pull up. If it fixes things then replace him. So I replaced c23 and the other two .1uf caps in that circuit, tested the resistors and they were all fine, but still only seeing .126v instead of 5v. So I pulled the voltage regulator and tested it in isolation, 11.6v in, .1 volts out. My "new" regulator is no dang good. While I was at it I tested the original regulator that fried r50 and it was outputting 10v. I'll look into picking up another regulator. Thanks for suggestions, I'll also map out the ground upgrades and get those done. Interesting, I bought a 5V regulator last fall and mine was also faulty. Really pissed me off cause I ended up lifting a trace trying to remove that POS. I e-mailed the supplier to let him know about the faulty component but he wouldn't even respond. Curious -- where are these regulators coming from (other than China)? Not sure. I got mine from a Canadian pinsider who sells eletrical components and such. yeah that is likely a china fake. 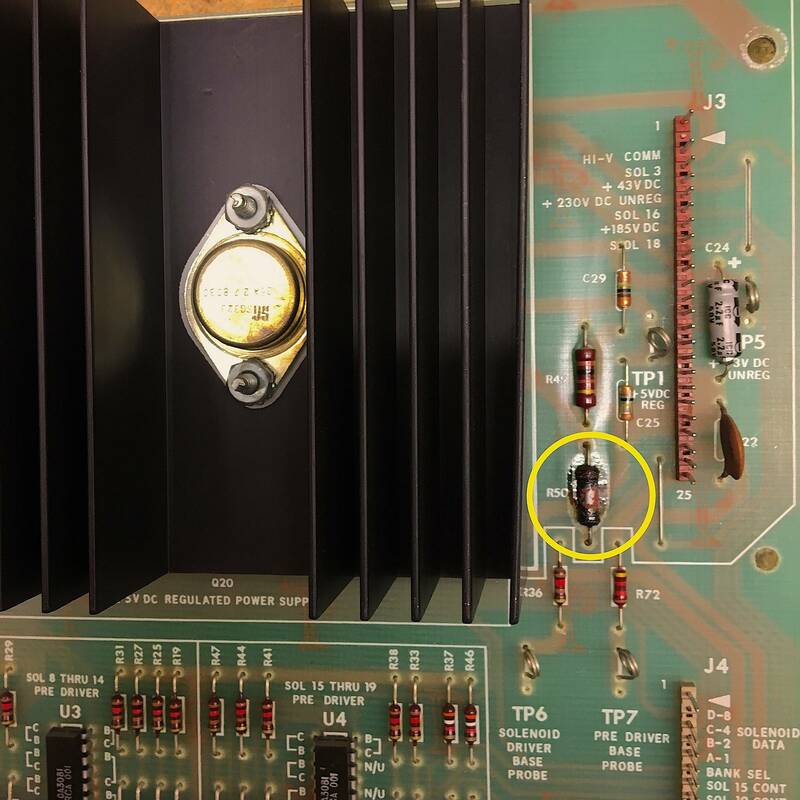 The transistors, voltage regulators, etc have way many more fakes out there than chips it seems. The only regulators i would use from China would be used pulls with obvious markings from lock stars biting into the case. What's annoying is the time and effort you waste using these bogus parts. I think we'd all happily pay a little more for ones that actually worked. My guy is sending me an older unit that he'll test before shipping it out. Luckily I'm not in a desperate hurry. My new voltage regulator arrived a week awhile back but didn't have time to look at it until last night. I tested it alone via PC power supply and it output a steady 5.4V. Once I had it installed on the board, I tested it again via 12V connected to TP5. TP1 showed 5.4V again, though TP6 and TP7 were 0. I assumed they relied on the connector being connected, etc. TP5: 15.57V (should be 12V) - Is this too high? Also, I think that I probably don't need the heat-sink with this new type of regulator, can anyone confirm? I used one of those and had r50 explode. hold on let me find it. I think perhaps you must jumper r50 when using this puppy. Sorry if this muddles things more. Thanks for the link! Had no idea. Ironically, it was R50 burning up that started me on this adventure. I replaced it with an overrated 2w unit, which is probably why it didn't fry when I tried it last night. I'll replace R50 with a wire, hopefully I didn't damage the regulator. I still don't understand why notices aren't added somewhere on the product pages for known issues. I guess because it's a generic replacement and circuit considerations in whatever you're replacing are up to the end-user. Just seems like it wouldn't be a bad idea.. even if only for the PSU7 where a trace close to the mounting hole shorts to ground if saw-tooth washers are used. The LM323K 5V regulator is a robust device, but it can drift over time to below the design requirement of 4.8VDC. If your 5VDC reads less than 4.8VDC at the test point, or less than 4.75V on the CPU board, you have to replace the regulator. Note that these voltages are compliant to the LM323K's spec. However, at the lower end of this spec, this lower voltage may be the cause of resets. 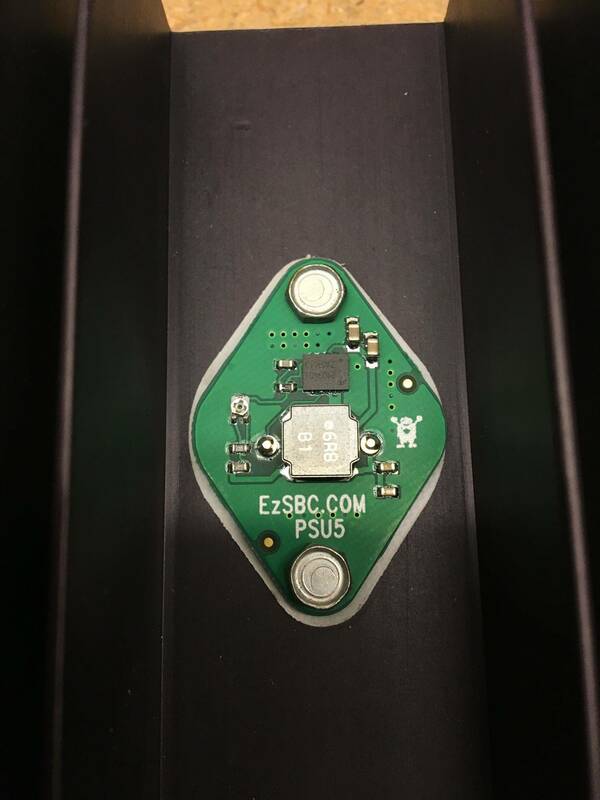 If you decide to replace the LM323K regulator you may wish to consider using an EZ-SBC PSU5 instead (). The PSU5 is a 5V 3A high-efficiency switch-mode regulator that is a direct replacement for the LM323K in terms of form factor and current capacity; it is superior to the LM323K due to its reduced power dissipation. 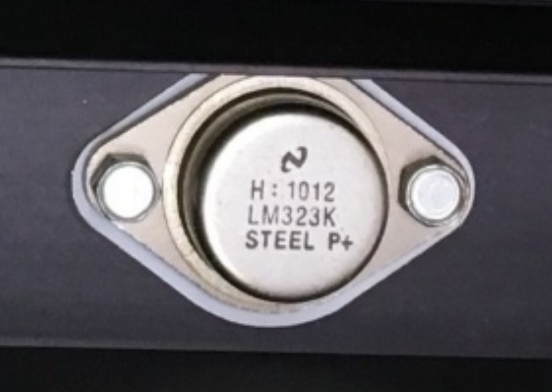 When using the PSU5 be sure to replace the KEPS nuts (nuts with captive lock washers) originally used to mount the LM323K with discrete #6 split lock washers and #6-32 hex nuts; the external tooth lock washer of the KEPS nut can contact one of the surface-mounted components on the PSU5. Should add a similar tip/warning for the Classic Stern/Bally Wiki page as well. Someone on the other thread said they also removed R49. Should I leave R49, remove it, or remove and also replace wth a wire? I believe you remove r49, otherwise your 5v would be connected directly to ground. I found another thread, too. mimic the 5v regulator circuit on a wms sys 3-6 games. The two resistors Bally uses juices up the output voltage for a lm323k, often to a dangerous, MPU-U15 zapping voltage. For the PSU5 switch mode regulator, it would be cut out r49 and change r50 to a jumper wire / 0 ohm resistor. Made some progress on the weekend. I now have solid 5V everywhere it should be. 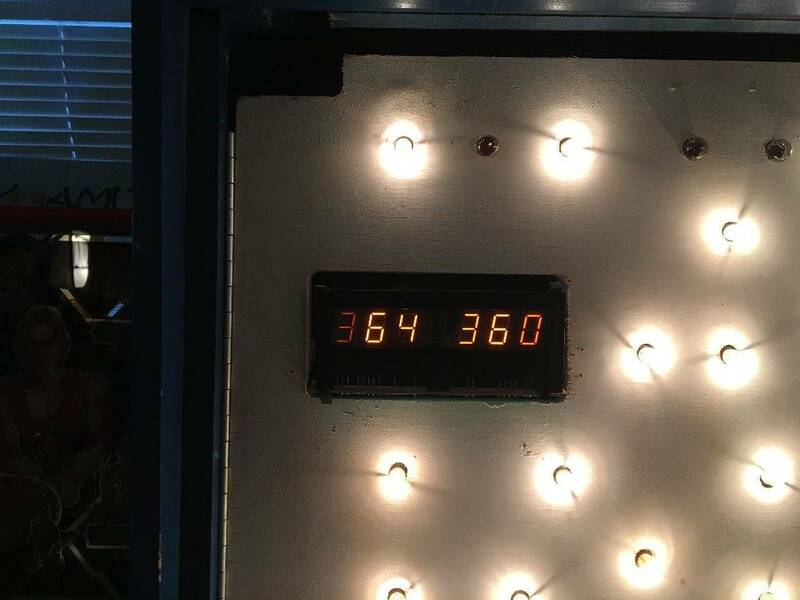 Unfortunately, running the board in the game shows a problem with the high voltage section, when running the display digits are fading in and out instead of being sharp and bright. Check the voltage at the rectifier board test point. 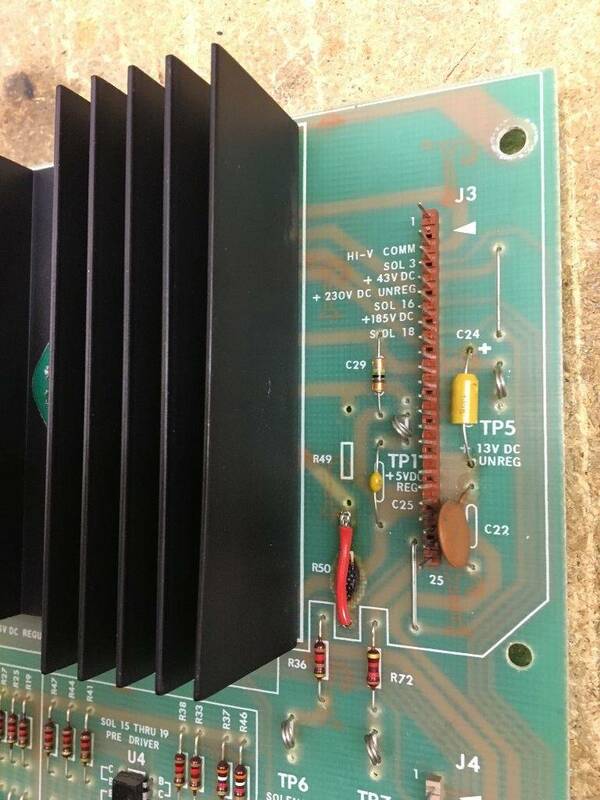 If low there check the 1n4004 rectifier diodes on the power supply as maybe one is open circuit. 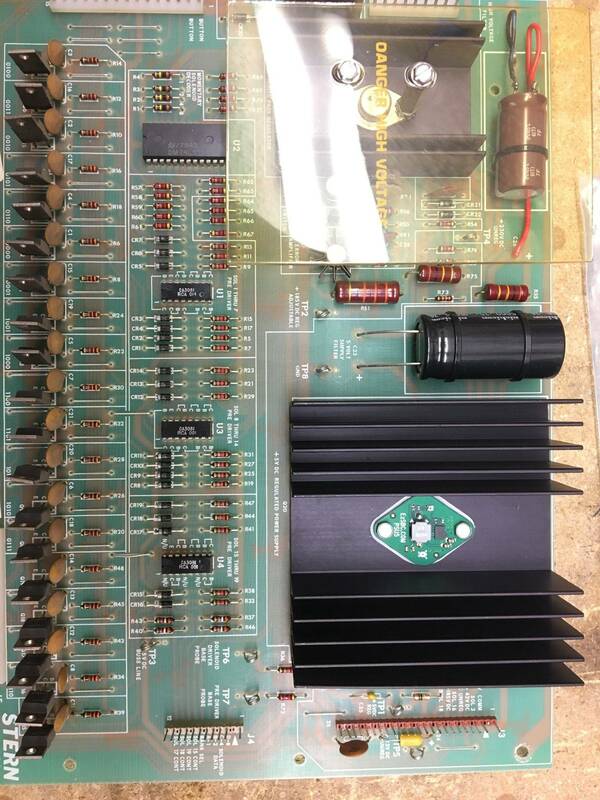 If looks good there, check the ground return and positive rail connector at driver board. They hv ground is isolated back to the transformer panel (unless you do the "ground mods"). Nice tip! The displays work perfectly when running with a known working SDB... but, I did the ground mods on the working board previously and have not done them on this Stern one yet. Maybe that's the secret sauce?! Will have to figure out where the connections need to be made first, since vid1900 's example was for a Bally board. find the negative lead for the c26 230v filter cap. run a patch from the the negative lead to the nearby ground trace. Scratch off some solder mask on the ground trace so you can tack down your ground reinforcement. I would suspect a bad (or not fully connected ) C26 too. I know you said it was new but still.... Depending on source, it could be a counterfeit part. I have seen photos of small value capacitors contained inside larger bodied cans. It's amazing how far they will go to make a few pennies. Exciting news - I completed the ground fix and it's working 100% now!